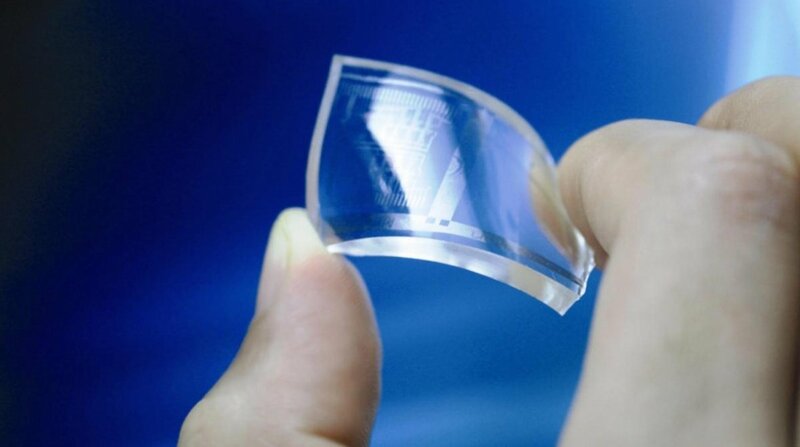 Wonder material graphene could soon be used to create super-sensitive artificial skin and wearable health sensors. Graphene, which is stronger than steel but also extremely light and flexible, is being 3D printed as a chemically modified paste by Imperial College London to explore its potential for synthetic skins. We spoke to Professor David Gann, Imperial's vice president of development and innovation to find out how the world's strongest material can be applied to the connected self, including new ways of interaction between our bodies and our tech. "If you think about the need for sensors that mimic what we feel through our own skin, we can see graphene being used for composites in robotics that can then become more sensitive in terms of how they behave. It's not yet a wearable, but it might become a wearable", Gann told us. "You may harness that then as part of prosthesis. There are companies coming through at the moment that are looking at how people who have to wear a prosthetic limb can interact with it. We know that the science is there and the technical opportunities are starting to happen." Researchers at Imperial have themselves been working on 3D printing a chemically modified graphene paste for over two years, with potential capabilities ranging from printing plastic components for electronics to super-sensitive artificial skin. "The synthetic skin and the ability to create fabrics, or parts of fabrics that will sense and provide assistance and aid is just around the corner," said Gann. Weighing just 0.77mg per square metre, graphene would serve wearable manufacturers very well, but how far away are we from seeing this material in products we can buy? The team at Imperial, led by Dr. Garcia Tunon Blanca, believe that graphene paste could also be used to create new sensors for health monitors in a new generation of wearables. "What is the interface between us and machines and is that going to change? The wearable device at the moment is rudimentary, it's in its infancy. Certainly the work that's going on at the moment at places like Imperial is developing on from that - looking at life enhancing, and sometimes life saving capabilities from wearables", Gann added. "I think we're in a moment where we haven't made all the connections of the dots. These things can move quickly and in the next two or three years we could see some very exciting avenues." Read this: What are the benefits of smart clothing? It's clear that graphene could be a crucial super material for the future of both bionics and health tracking wearables. But with artificial skin that enhances our senses, it could also act as a next-gen user interface. Wareable spoke to Professor Gann at the Applying Graphene to Daily Life media roundtable, organised by Directa Plus, at the Design Museum.